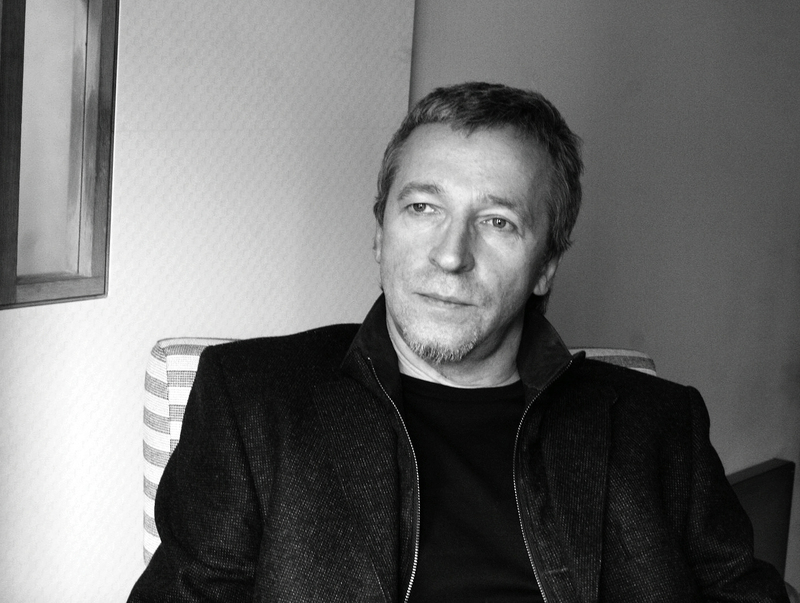 Artur Klinaŭ was born in Minsk in 1965. His interest in art emerged while he was pursuing a university degree in architecture, which he completed in 1987. In 1998, he became chairman of the Belarus Association of Contemporary Art. Since 2002, he has been the publisher and editor-in-chief of »pARTisan«, a magazine published in Belarusian and English and the only magazine focusing on contemporary Belarusian culture. Klinaŭ is a critic of the government of Alexander Lukashenko and has spoken out in favor of his country following a European-oriented path. In 2006, using his own essay on the photo album – »Horad SONca. Vizual’naja paėma pra Minsk« (tr. The sun city. A visual poem about Minsk) – as a starting point, he wrote »Putevoditel’ po gorodu solnca« (tr. Minsk. The sun city of dreams) for Germany’s Suhrkamp publishers. The title plays on »La città del Sole«, a work by the Italian philosopher and politician Tommaso Campanella (1568–1639). The book takes the form of a travel guide with autobiographical traces. Klinaŭ examines the center of the Belarusian capital with its streetscapes characterized by 1930s–1950s Stalinist-style buildings, while also daring to venture into the courtyards behind these structures. In the course of his virtual walking tour, he explores Belarusian history from the Grand Duchy of Lithuania to the Soviet era and up to the present, all the while emphasizing the recurring phases of destruction and rebuilding in Minsk: »After each death, instead of emerging from of the rubble to resume its previous tradition, the city rose up instead as an entirely different city that had nothing whatsoever in common with the place it had been before, neither in its aesthetics nor in the everyday life and mythology of its inhabitants.« In 2010, Klinaŭ published his first novel, »Šalom« (tr. Shalom) about a penniless drunkard and artist who sets out on a journey from Bonn via Berlin, Warsaw and Minsk all the way to Mogilev in eastern Belarus. In an attempt to aggravate small-minded conformists, he wears a spiked Prussian helmet (»šalom« means »warrior helmet« in Belarusian) and encounters all kinds of real-life and fantastical characters in the course of his road trip. Klinaŭ not only ridicules the art scene, he also writes entertainingly about the mutual prejudices and expectations in East and West. Klinaŭ’s second novel »Šklatara« (2013; tr. Waste glass) picks up where his previous novel left off and tells the story of a love triangle set against the backdrop of the events on Minsk’s Kastryčnickaja Square after the presidential elections in March 2006. At the 54th International Venice Biennale in 2012, Klinaŭ represented Belarus with his work »The Last Supper«. 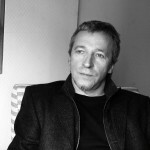 In 2014 he founded Kaptaruny art village (kaptaruny.com) situated on the Belarusian-Lithuanian border where every year the cinema forum, literary festival, artistic workshops happens.